Our neighbors piled into our car, a Plymouth with fins and a bad gold paint job. I didn’t like their looks, guys with tousled pirate hair, dirty shirts missing buttons, faces pounded flat, no doubt in prison. They appeared uncouth, even frightening, but turned out to be quite charming. My husband and I drove them around the city, whatever city it was, seeing the sights, whatever sights they were, then dropped them in front of the Y because we were on our way to a ballgame. When we returned, they greeted us with cheers. Across the street, I worked behind the counter of a dark store that sold religious supplies and gnarled old furniture that hung from its walls. “Second floor from the top,” I told the owner, Helga, a heavyset older woman swathed in scarves, and pointed to our apartment at the Y, an insanely tall brown building. From my tone, you could tell I loved it there, though it made me sick to look at the way the building listed precariously toward us. Helga and I were joined by Mary Ellen, a neighbor with a big red face and long nose, small blue eyes much too close together, a long frizzy carrot-colored mane. Though we had apparently just met, we chatted like the oldest of friends. Our other neighbors crowded into the store, a loud, frenzied party. As I gazed out the window at that imposing crooked monolith, our home, I pondered the story I planned to write called “When We Lived at the Y” about how we had only lived there for a short time and thought it was a pretty crappy place, but when we looked back on it, as we often did, we both remembered it as the happiest time of our lives. Suddenly, whenever anyone said anything, an attribution formed. If Mary Ellen said she admired the plastic flowers in the pink vase on the counter, “Mary Ellen said” appeared beside her. I was in charge of this, and everyone depended on me. Then the phone rang, and they all blew out like candles. The call was for my husband, who complained about how early it was. By the time he hung up, Mary Ellen was long gone, and I felt guilty and sad for letting go of her and everyone else. Where are they now? I wondered as I tried unsuccessfully to go back to sleep to see them all. Are they wandering around somewhere, looking for another dream to barge into, or hanging out at the store across from the Y, having forgotten all about us? 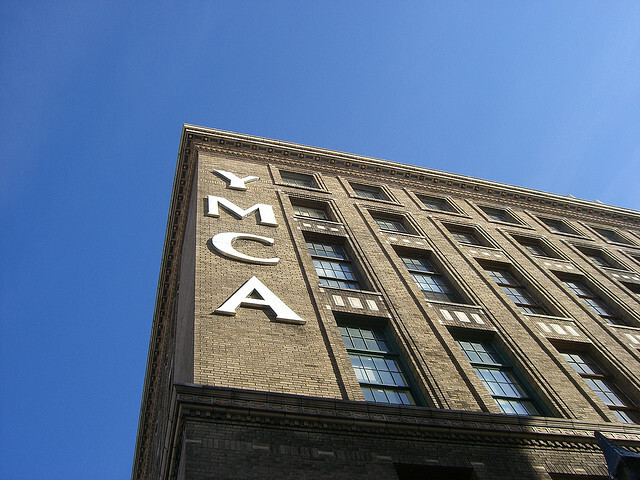 I didn’t know—all I knew was that I could never write my story “When We Lived at the Y” because none of it had been true, though it seemed more real than anything, and I missed everyone so much it hurt me. So Mary Ellen, Helga, all our friends and neighbors, if you’re reading this, I hope you’re having wonderful lives without us and that whoever moved into our apartment loves it as much as we did. We were so happy there, so happy. Abby Bardi is the author of the novels The Book of Fred (Atria Books) and The Secret Letters (forthcoming, HarperCollins Australia), and her short fiction has appeared in several journals and anthologies. She lives in Ellicott City, Maryland.